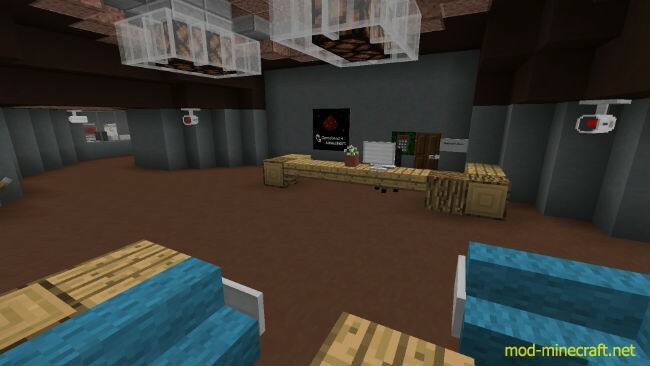 The Heist Adventure Map 1.8.7. 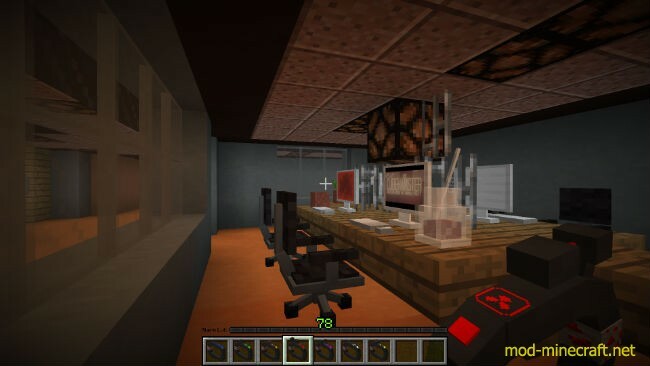 In the Heist the player tries to avoid security systems such as cameras, guard robots, lasers, sonar etc in order to steal valuable prototypes from a high security underground research facility. 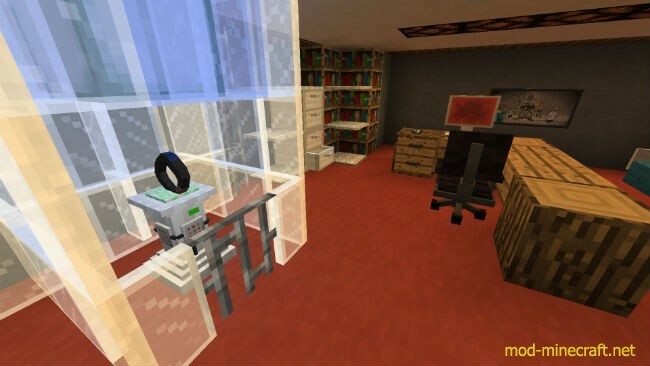 The player accomplishes this with the help of his/her Gameband which has various functions such as being able to hack numpads and consoles, see through walls with x-ray vision, stun robots, stick to ceilings etc. 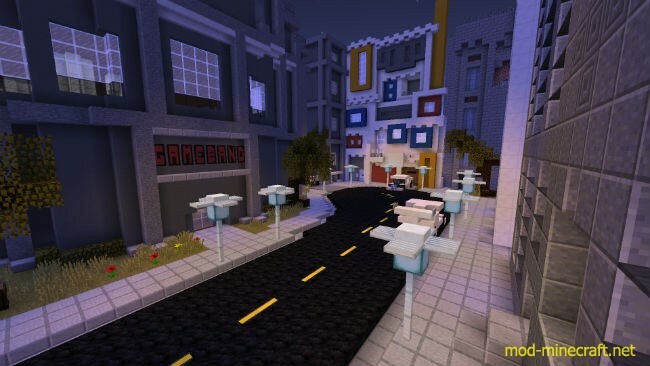 This map features stunning in-game models and animated textures as well as ingame custom sounds and voice acting. 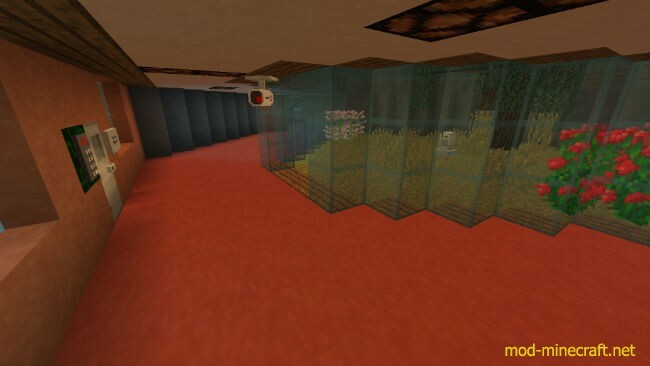 The map is a game on its own, as in it completely drops the traditional Minecraft Mechanics such as crafting or fighting mobs. Instead of health the player has to deal with Awareness. 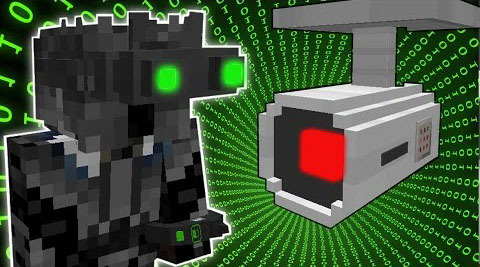 Every time the player gets spotted by a camera or guard robot the alarm level will rise. 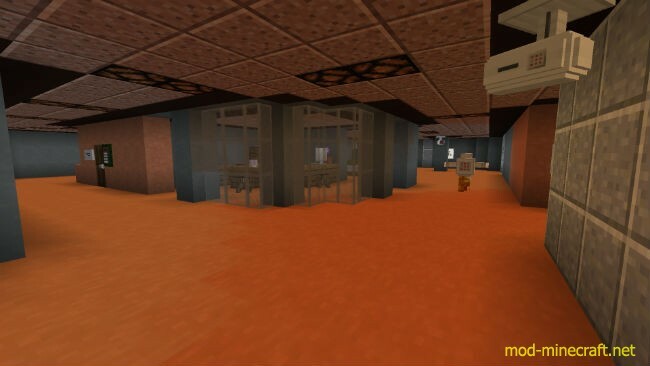 As soon as the alarm level reaches 100% the alarm triggers, the whole place goes on lock down and the player is busted whereafter they get reset to their latest checkpoint. In order to avoid this the player relies on the various functions of the Gameband they get gradually unlocked throughout the game. The only problem is that every time the player uses an ability it consumes energy. When your energy runs out you have will find a recharge station to restore your energy.